We love a hot tip, here at The Urban List, and have we got one for you! 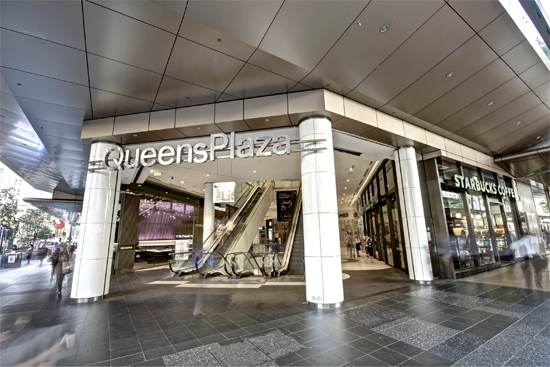 The stylish and connected folk at QueensPlaza have just informed us of their fabulously fashionable, film-inspired VIP shopping event, and, trust us, this is one VIP list you want to be on. Not only will the lucky invitees (read: you) have access to exclusive offers, discounts, entertainment and one-night-only VIP surprises, but you could also win a trip for two to the spiritual home of film nobility, Cannes. The night is touted as a celebration of cinema in all its sartorial glory and the very fitting theme is 'after-party chic', so here's your chance to channel your inner movie star, get glammed up, and rock that red carpet like you mean it! And, if you are looking particularly spiffy, your style sense may also be captured forever by the makers of local documentary, Uncovering the Brisbane Look, who will be filming on the night. How much do you think this is all worth? It's probably suitably expensive, right? Nope, this VIP shopping event is totally free! All you have to do is sign up to the QueensPlaza VIP list for your exclusive invite, and updates on all the latest fashions in store, darling! It's on from 5-9pm Tuesday, 12 November so click here to get on board, and start shopping in style. TUL Note: Today's List Love post is proudly sponsored by QueensPlaza and endorsed by The Urban List. Our sponsored posts will never be a secret - the List Love seal will be stamped on any sponsored material you see on the site. Thank you for supporting the sponsors who make The Urban List possible.